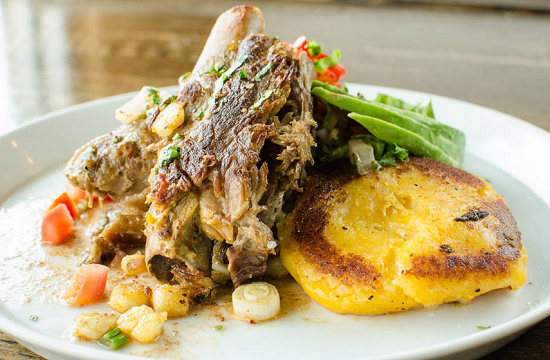 You are here: Home › Where to Eat in Houston › Taste a Piece of South America in Houston at Andes Cafe! Houston is known for being extremely diverse; people from all over the world come to our city for job opportunities and wonderful southern living. This wide diversity does many great things for our city economically, but what most Houstonians might appreciate even more is the variety of delicious food! One restaurant in particular has gained the attention of Houston food lovers for providing authentic food and a great atmosphere. Andes Café is a small, casual eatery located on Canal Street in Downtown Houston that is dedicated to sharing the culinary arts of the South American cuisine. The restaurant is named after the incredible Andes Mountains which unites a number of their countries. Similarly, Andes café looks to unite the food and culture of their country, with the culture offered by the great city of Houston. Andes Café serves up organic coffee grown in South America, street food found in the various countries, and unique flavors that can inspire and satisfy any appetite. You can grab breakfast, lunch or dinner; with traditional plates such tamalitos verdes, fresh juices, authentic sandwiches and a variety of signature plates. In addition to the great food, the café offers a warm and friendly atmosphere that is commonly found in South America to make sure guests get the true South American experience. Head chef and café owner, David Guerrero is originally from Ecuador, but moved to Houston almost ten years ago and has been generous enough to share his authentic, great tasting food with Houstonians. All of the chefs are from South America and grew up eating these foods in their home so they are very familiar with these dishes, helping the café to be as authentic as possible so you have the best dining experience possible. Have you had a taste of South America yet? Head on over to Andes Café and let us know what you think!